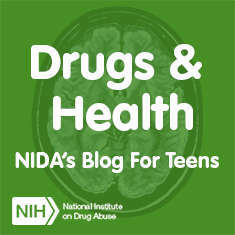 The Drugs & Health Blog is written by a team of NIDA scientists, science writers, and public health analysts of all ages. It connects teens with the latest scientific research and news, so they can use that information to make healthy, smart decisions. Read the Drugs & Health Blog.